BREMERTON, Wash. - U.S. Navy Sailors assigned to the aircraft carrier USS Nimitz (CVN 68) joins the Navy, and the rest of the nation, in celebrating Hispanic Heritage Month. On September 17th, 1968 President Lyndon B. Johnson proclaimed the week beginning September 15, 1968, as National Hispanic Heritage Week. In 1988 this week long celebration was expanded to a full thirty-day cultural event by President Ronald Reagan. Nimitz has observed Hispanic Heritage Month in many different ways in the past including vibrant celebrations involving customary Hispanic food, song and dance. 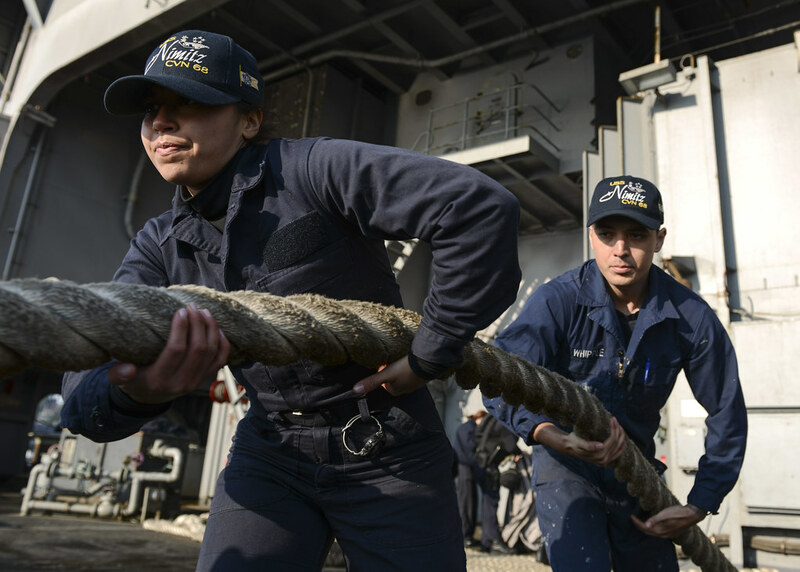 Though the month is traditionally associated with its fun events held on board, for some Hispanic Sailors serving on Nimitz, the month is much more than a fiesta. Although Zurita is very proud of his Hispanic roots now, there were times when he was younger he was made to feel that being different somehow made him less than his peers. This feeling is why Zurita thinks it’s important for Hispanic Heritage Month celebrations to take place. “I think it’s a chance as a community to show our pride and for our youth to see that you should never be ashamed of where you come from,” said Zurita. Air Traffic Controller 1st Class Richard Morales, from San Antonio, agrees with this sentiment. “It’s important for minority youth to see that your background and heritage are good things to be celebrated and not something negative,” said Morales. The month was created to celebrate the accomplishments of Hispanic leaders of the past and show the impact those of Hispanic heritage continue to have, not only in the Navy but in the community at large. “It is with special pride that I call the attention of my fellow citizens to the great contribution to our national heritage made by our people of Hispanic descent—not only in the fields of culture, business, and science, but also through their valor in battle,” said President Johnson during his initial proclamation of this celebration. 2018’s theme for Hispanic Heritage month is “Shaping the Bright Future of America,” and the events being held focus on educating the public and celebrating the unique diversity of Latin American cultures.